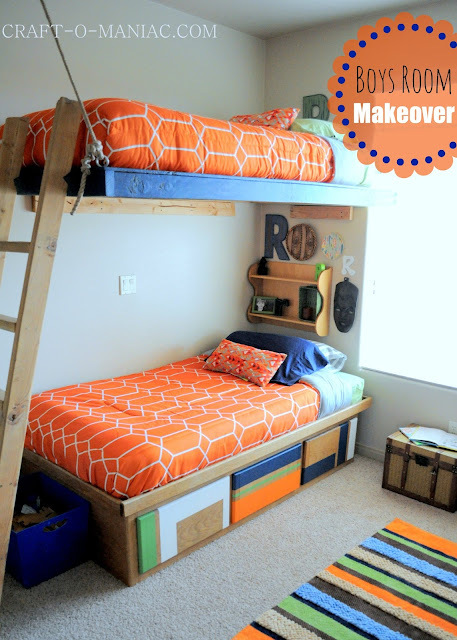 can change the look of a room and can change the interior design of your home from ordinary to simply extraordinary. Let me show you what I am talking about with some pieces that I have done for my own home. 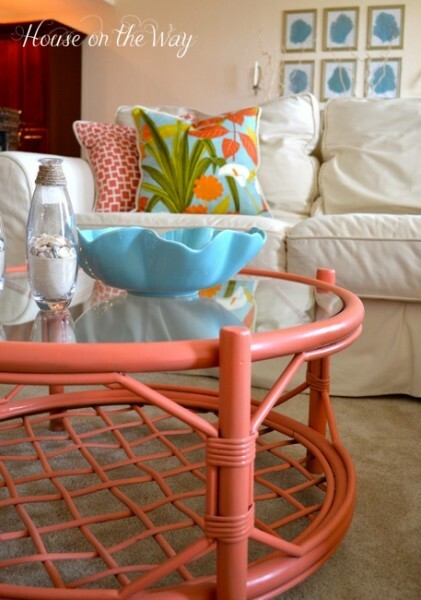 You don’t need to change all of your living room furniture just pick one piece and give it some love. This was a very sad and old end table that I found a while ago. 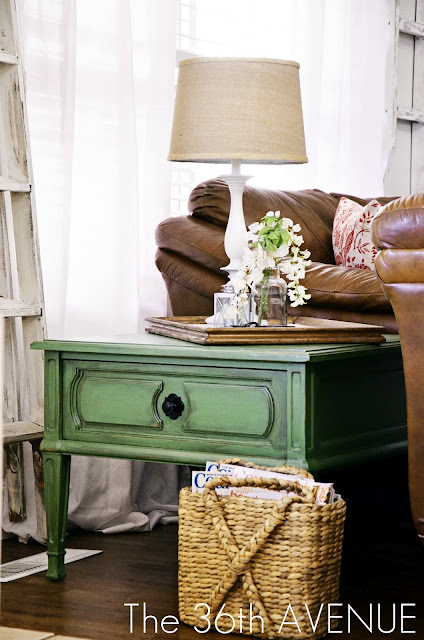 The green paint made such a difference not just in the end table but in the rest of the room. 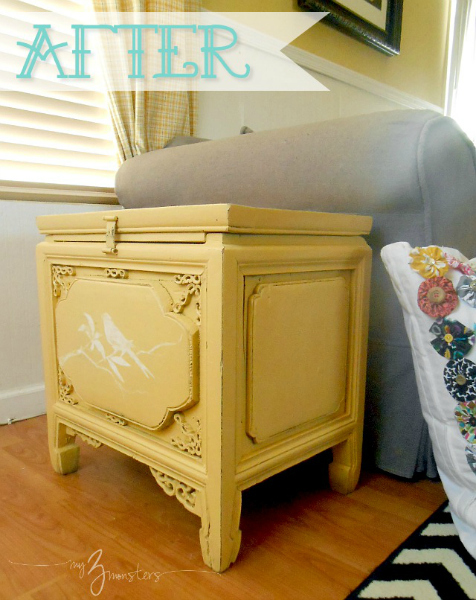 Take a look at the tutorial of how to distressed furniture here at The 36th Avenue. but red is one of those colors that you can’t go wrong with. 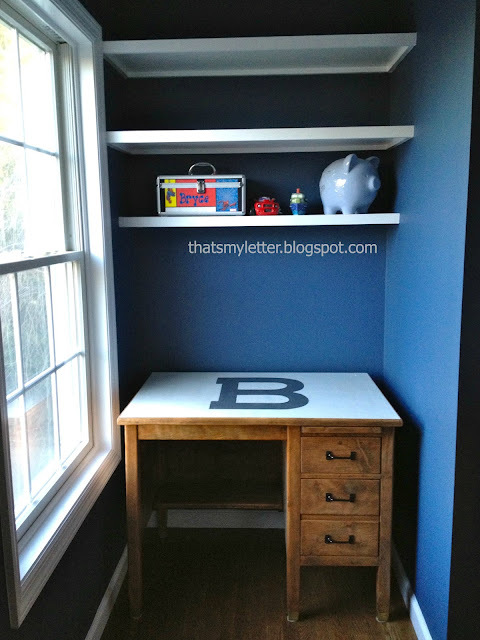 Check out our painted desk tutorial here. 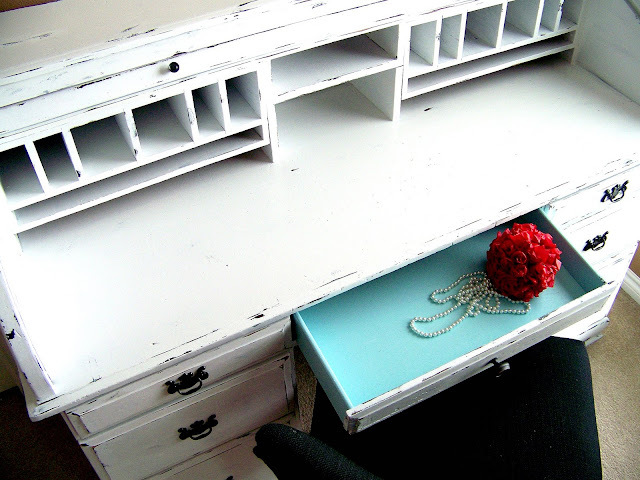 I am bringing this desk back because I want to let you know that you can paint laminated furniture. In my opinion anything orange rocks! 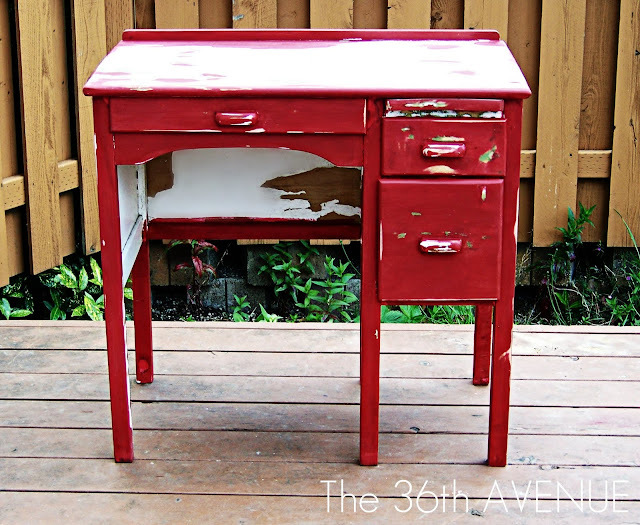 Learn how to paint laminated furniture here at The 36th Avenue. 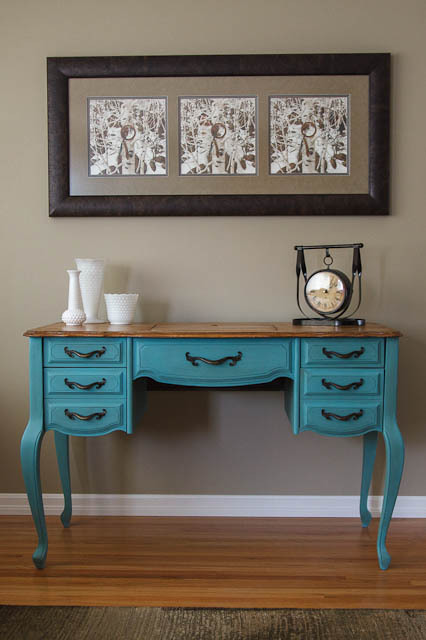 This white and turquoise desk was one of the first projects that I shared here on The 36th Avenue. If you have a minute check out the tutorial and the story behind it… I paid under 10 dollars for it! 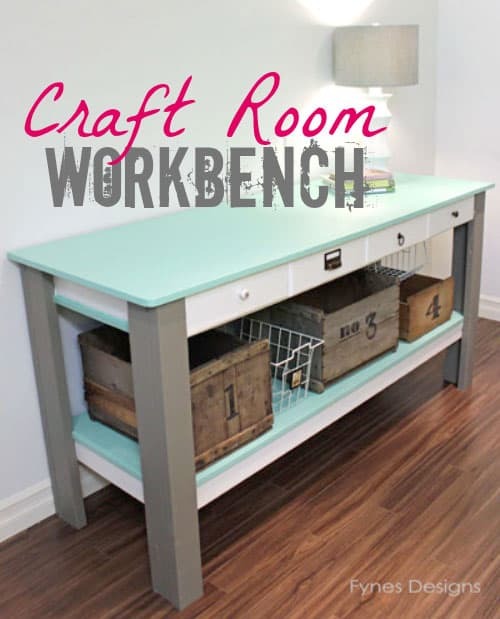 It is amazing what a little pop of color did for this Roll Top Desk. 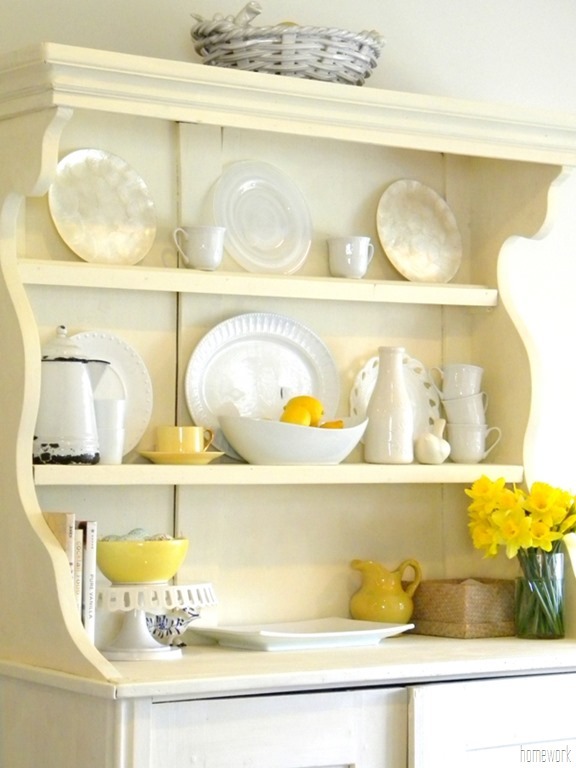 You gotta love shabby chic furniture! can bring the piece you are working on alive. 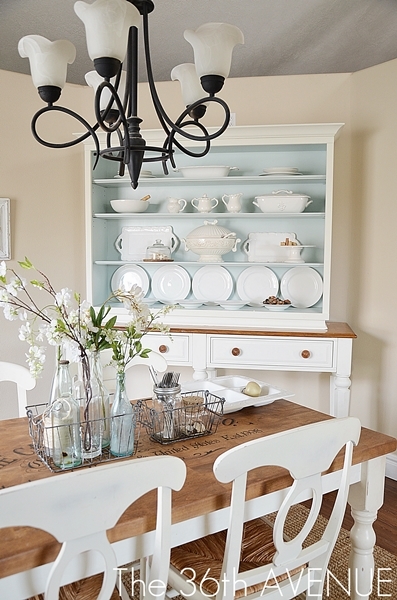 We love our blue and ivory Hutch makeover. You can find the tutorial also here at The 36th Avenue. So as you can see color is a wonderful thing and you should give it a try. I want to share with you today some wonderful and colorful pieces that make me happy to look at. 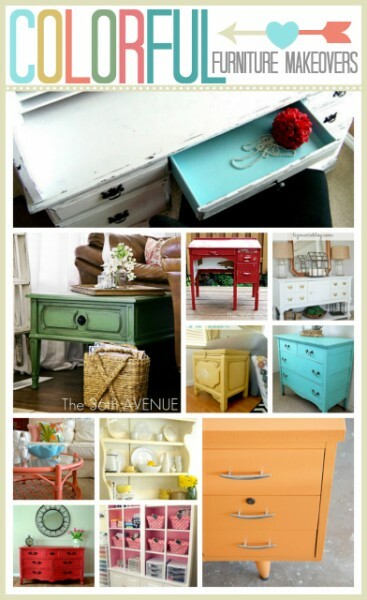 I hope they inspire you to look around and perhaps give you the desire to give your old furniture a makeover. 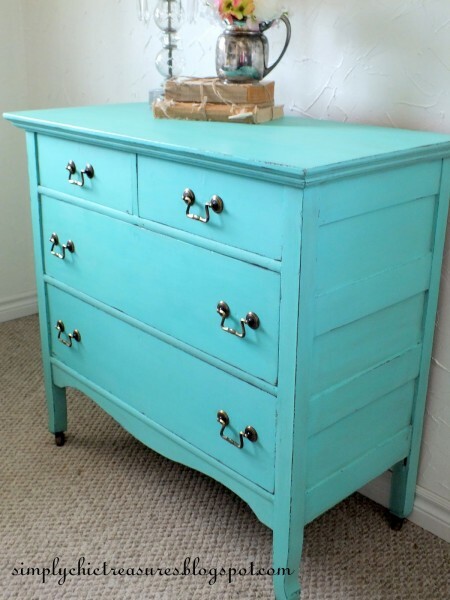 Turquoise Dresser makeover @ Simply chic treasures. Red Dresser at Picked and Painted. 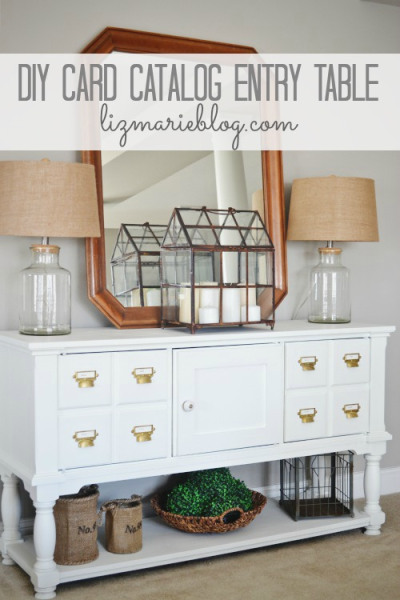 I hope you like as much as I love these home decorating ideas. 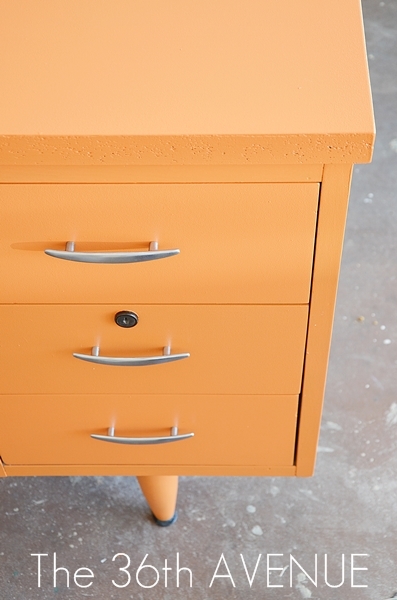 You’ll be amazed what a little bit of paint can do for your furniture! Thank you so much for the visit… You guys are the best! I am a very new hobby furniture makeover type person,mostly small projects so far.I don’t have a blog etc and live in the remote Canadian north.I have a large china cabinet I want to paint and possibly put wallpaper in the back.No handles on the piece,very smooth lines,I think mostly wood and some veneer,I would like to make contact with someone who can recommend painting technique and to bounce some ideas off.I can send pics. Wow! So many great transformations! I love the red dresser and the link and white bookcases!